This year the rafting season is not only going to provide the best water to raft on since 1998, it’s also going to have one of the longest durations as well. The Upper and Forks of the Kern will run well into August and the Lower Kern, already flowing at a fabulous level, will run well into September. Rare seasons like this offer our guests plenty of time to see more than one stretch of the river over the course of the summer and we’d like to help you do just that. 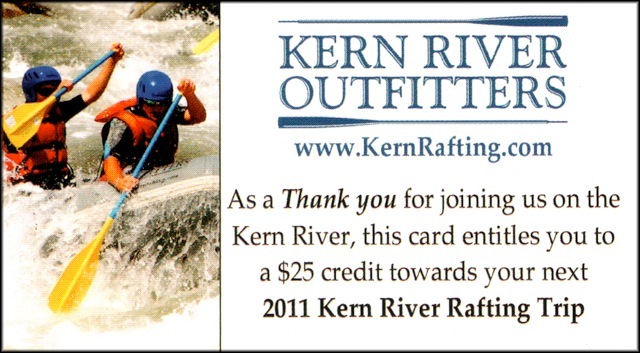 As such, we are issuing all of our guests a 2011 Guest Rewards Card at the completion of their trip. This card entitles you a $25 credit towards your next trip this season. 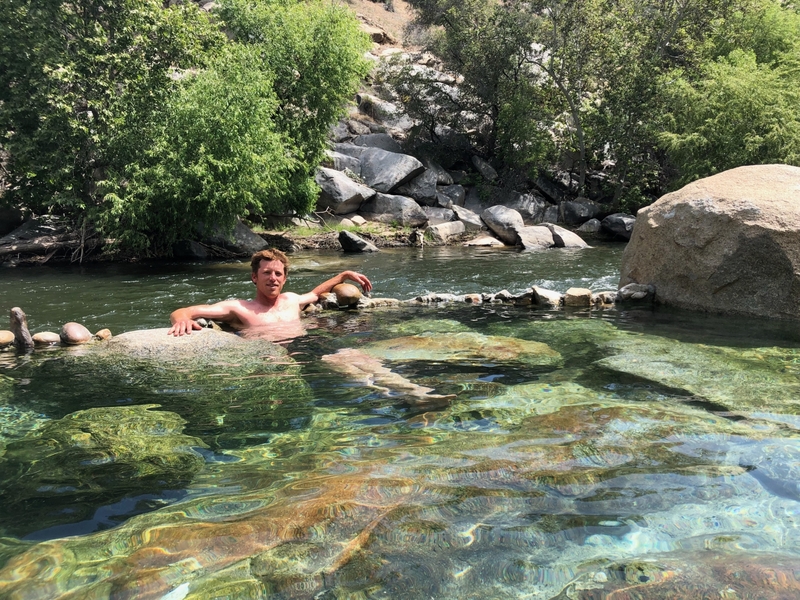 This is a small way for us to say “Thanks” for joining us and offer an enticement to see one of the other spectacular sections of the Kern all in one year.